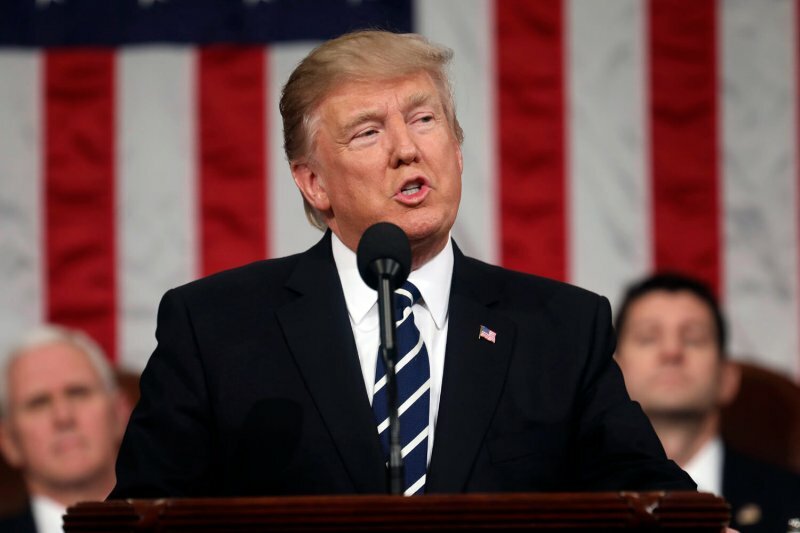 U.S. President Donald Trump addressed a joint session of Congress for the first time Tuesday night, delivering a more optimistic message in comparison to the rhetoric of his campaign trail speeches and inaugural address. “The time for trivial fights is behind us,” Trump said in the address. He discussed the Republican bill to repeal and replace the Affordable Care Act, touching on the protections for pre-existing conditions, tax credits and health savings accounts. The president also called for expanded access to and lower costs for health insurance. Though he didn’t indicate the government’s role in ensuring the affordability of such insurance, he called for a bipartisan cooperation on replacing the current plan. Trump promised to cut the corporate tax rate and “provide massive tax relief for the middle class,” though he didn’t give further details on how he plans to fund the cuts. He spoke of spending tens of billions more on the military and promised a $1 trillion infrastructure project but made no mention of how such projects would be funded. The border adjustment tax would give tax breaks to American companies that produce goods locally and remove tax incentives for companies moving jobs overseas. The plan is dependent on the rising value of the dollar, roughly a 20% increase in value, and proponents say the tax will drive demand for American-made goods. Opponents, including many retailers and federal economists, argue that prices for consumers will increase, as much as 15%.